BREAKFAST I live and work in San Sebastián, an area where food is very important. I leave very late at night from my restaurant, Arzak, so I bring home some leftover bread. In the morning, I would start with coffee at home and some of that roasted multigrain bread, brushed with extra-virgin olive oil and grilled (I don’t use butter: I am very healthy). 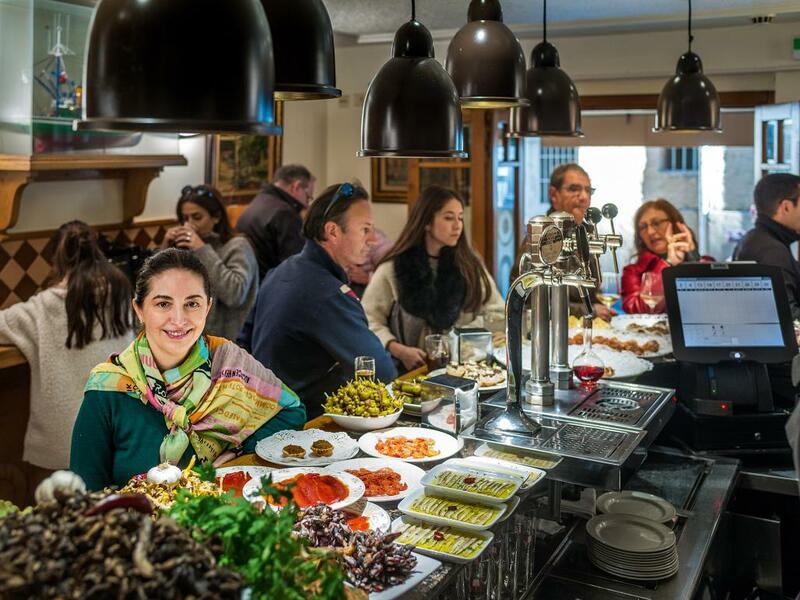 Then either before or after I go to the market, I’ll stop at Bar Ganbara in San Sebastián and have pintxos (skewered meats and vegetables), and usually a tartelette of stewed crabs or mushrooms or truffles when they have them. I remember when I was seven or eight years old entering the restaurant, and there was that smell of boiling crabs that were very fresh and very clean. To me, it was like a perfume! I also like their pickled peppers with anchovy and olive. I really feel like I’m at home at Ganbara because it has the ambience of my people. In Basque society, we have few rich people and few poor people. The middle class is very big, and we’re happy about that. LUNCH Then to Cape Town. Earlier this year I was in South Africa for a design conference and I went to the Test Kitchen, a restaurant in Cape Town. It was fantastic. I really liked the snoek – it’s a fish similar to tuna. The way of serving at the restaurant is informal. It is fine dining, but you feel comfortable, and there is a lot of action in the kitchen. They have nice berries and white wines – I prefer the dry ones. AFTERNOON TEA I would go to the restaurant D’O, chef Davide Oldani’s restaurant outside Milan (in the town of San Pietro All’Olmo) and order the rice with black pepper and Marsala wine (riso, pane, pepe nero e Marsala). It comes with an egg yolk which you mix into the rice yourself and a Grana Padano cheese. It’s like a carbonara but done in a different way. The rice is perfectly cooked. It’s fantastic, extremely creamy with an extraordinary flavour. I will never forget this dish. Or I could go to a food truck in New York, which are very special to me. We don’t have food trucks in San Sebastián. You may want to eat Indian, then one day you want Asian and then vegetarian the next. This keeps cities alive, and food is very connected to the life of the city. People who go to food trucks are always in a queue. It makes you live in harmony. DINNER A trip to Sydney to dine at Tetsuya. The trout – it has so much flavour! I don’t know how it is seasoned, but I would never have imagined that a trout would have so much taste. I would have sake to go with it. I also would have to stop at the Sydney Fish Market. I really like the oysters from Tasmania. They are smaller but more intense in flavour. It is as though the oysters have another taste. I can’t describe it. It is less salty with a lot of juice. I like Sydney because it’s close to the sea, and food there is very important. It is very similar to San Sebastián where everything happens around food, from the time you are born and until you die.